Today, I’d like to take just a few minutes of your time and introduce RHP’s newest release: Danny’s Grace. I’ve “known” author Dawn Hawkins for oh, about five or six years, since our days of online content writing—although we’ve never met. I’d always noticed her writing; it was good, yes, but included a fresh perspective, a unique style. Her debut novel only reinforces that flair, that gift. Danny’s Grace is the story of a little boy, one whom life has dealt a hard hand, and it’s his own father who is the perpetrator. Danny is tough and smart, cheeky and irreverent; and one wonders if he’s actually going to survive, given the violence with which he lives. His best friend, his only friend, Carson, is Danny’s reason for pushing onward. Their relationship suggests that Danny is the strong one, but the emotions and deep layers imply otherwise. As Danny and his mother and sister escape their dreary, frightening lives, moving onward and upward to better things, Danny’s personality has undergone few changes. He is still the leader, still the instigator, but the stakes are higher: professional success, or professional suicide. Danny comes full circle when a budding novelist arrives on his doorstep. Her pointed questions drive home both helpless and hopeless feelings as Danny revisits his life, digging deep to explore pivotal events from the past and glossing over others, even while his subconscious pushes him closer to the brink. The novel, told from Danny’s perspective with continuous asides to and inclusion of his inner voice, it pulls together to create an unusual and compelling story. You simply MUST read this book. 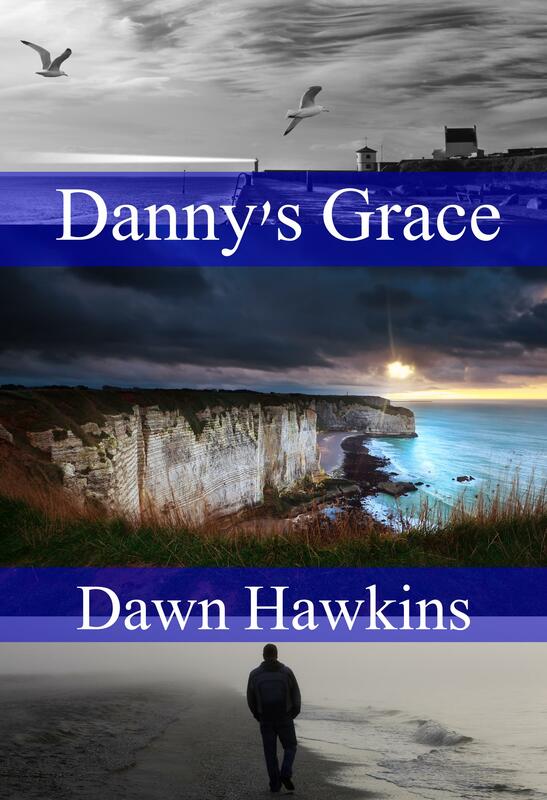 This entry was posted in Publishing and tagged book, danny's grace, dawn hawkins, hawkins, new, novel, publish, RHP, write. Great review, Robin! Congrats to you, RHP and Dawn, you can be proud of this novel! I previewed it; I could not agree more– this book is a ‘must read’.